CANNA Start is a balanced one-part nutrient for seedlings and (rooted) cuttings. 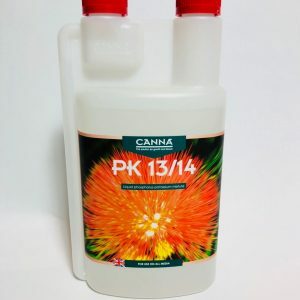 CANNA Start can be used on various substrates like rock-wool plugs, coco pellets, jiffy plugs, seedmixes and most other propagating media, except re-circulating systems and clone machines. Propagation media are media on which you can reproduce plants. 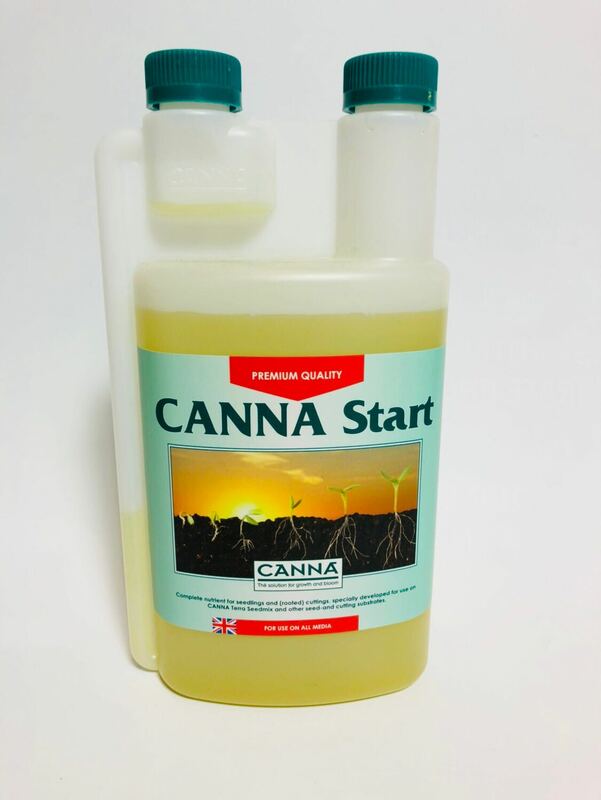 CANNA Start gives you all the micro- and macro nutritional elements for a seedling or cutting to develop into a strong healthy plant. With the addition of CANNA Start to the CANNA range, we offer a complete program for growing from Start to crop! 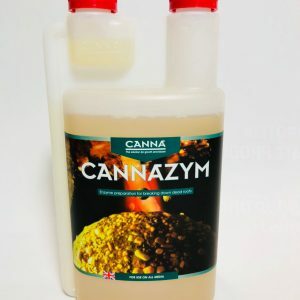 With CANNA Start you can use CANNA all the way. From clone to crop! 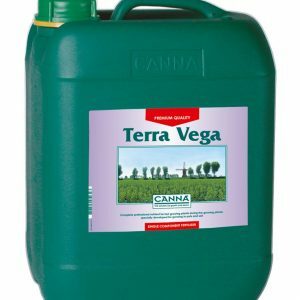 CANNA Start links up perfectly with all other CANNA nutrients. Once cuttings are transplanted from plugs into the final medium, you switch from CANNA Start to the CANNA (Vega) nutrient suitable for the medium you’re growing in (CANNA TERRA, COCO, HYDRO or AQUA) for the remainder of the cycle. It’s especially great in combination with CANNA RHIZOTONIC. 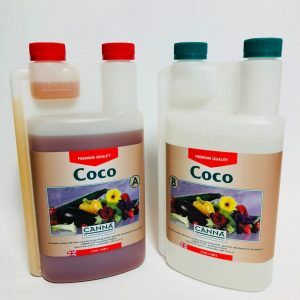 With this combination, your plants will get the strongest and thickest roots. Reduces the risk of plant material turning yellow. Diluting a vegetative nutrient to make it more suitable for cuttings and seedlings isn’t the answer. Such a dilution doesn’t contain enough micro and macro elements. This causes yellowing of the plant material; not a good start for your crop. To ultimately achieve strong, healthy plants at the end you have to start off right at the very beginning. That’s why CANNA developed CANNA Start; to get the exact ratio of all nutritional elements, right for cuttings and seedlings.